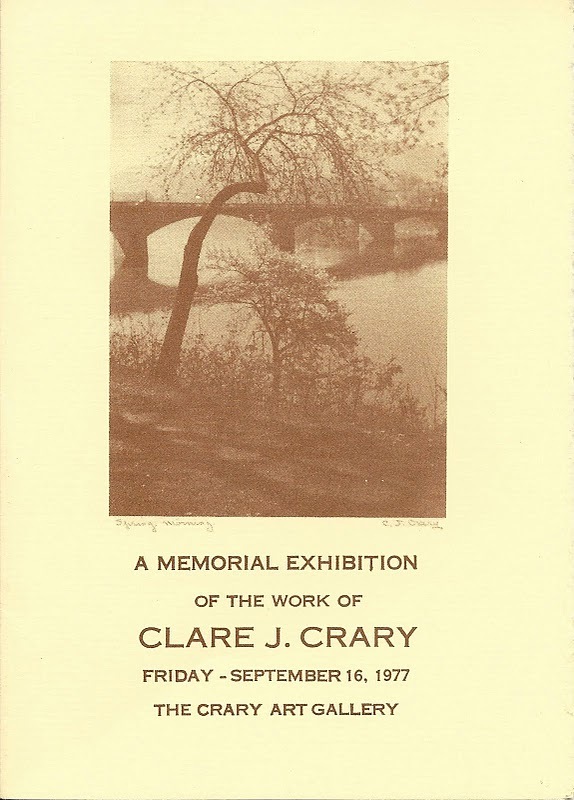 Crary Art Gallery was established in 1977 as a nonprofit art museum by painter Genevieve Walker Crary in memory of her husband, the industrialist, philanthropist, and accomplished photographer Clare Crary. Today, the Crary Art Gallery is dedicated to enriching the region's cultural offerings through noteworthy temporary exhibitions, and the display of historical works. The Permanent Collection includes early and mid 20th-century paintings and prints, Japanese prints, and photographs by Edward S. Curtis. The gallery also owns an extensive inventory of Gene and Clare's own paintings and photographs, some of which are always on display at the gallery. A collection of several Marion Sanford sculptures is on long-term loan from the Warren County Historical Society. The Crary Art Gallery also hosts changing temporary exhibitions, lectures and events. The facility may be rented for weddings and private meetings or functions. From 1900 to 1937 a very different structure stood on the site where the Crary Art Gallery now stands. The residence of Jerry and Laura Dunham Crary, constructed in 1902, was one of the largest manors in Warren and was built in the Italian Renaissance style, with a broad front porch facing Market Street and a portico on its north face. The only remaining artifact of that residence is carriage house to the west of the gallery on Sixth Avenue. The current structure was built in 1962 as the Stuart J. Myers family home, a very modern building inspired by the general plan of a Roman villa. The Myers home was subsequently purchased in the early 1970s by the photographer Clare J. Crary and his painter wife Genevieve (Gene) Alden Walker Crary. They intended this interesting structure to be an art gallery. Unfortunately Clare passed away in 1975 before the project could be realized, but Gene opened the Crary Art Gallery two years later with a memorial exhibition of works by her photographer husband. After Gene's death in 1988, the Board of Directors opened further galleries in the building: the Oriental room, the Crary-Dunham Room and the Fountain Room. In 1997, following a series of exhibits by guest artists, the gallery blossomed further. The northeast walled garden was transformed into the Sculpture Court with the installation of a glass ceiling. The grand re-opening in 2000 featured works by sculptor Marion Sanford, Gene's close friend and fellow alumna of the Pratt Institute in Brooklyn, New York. These pieces remain at the gallery on extended loan from the Warren County Historical Society and Warren General Hospital. In addition to these sculptures and the permanent collection (including photographs by Clare Crary and Edward S. Curtis, paintings by Gene Walker Crary, and paintings and prints they collected), visitors today can see temporary exhibitions by contemporary artists, mounted for the pleasure and education of the community.